Okay, so now that the holidays are over, its time to get back to work. 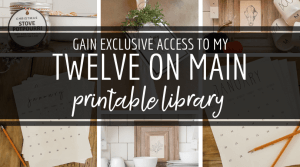 I’ve got big plans this year, and right now, I am focusing on a really fun series put on my by friend and blogger Erin at Lemons, Lavender, and Laundry. Its called the $100 dollar room challenge. 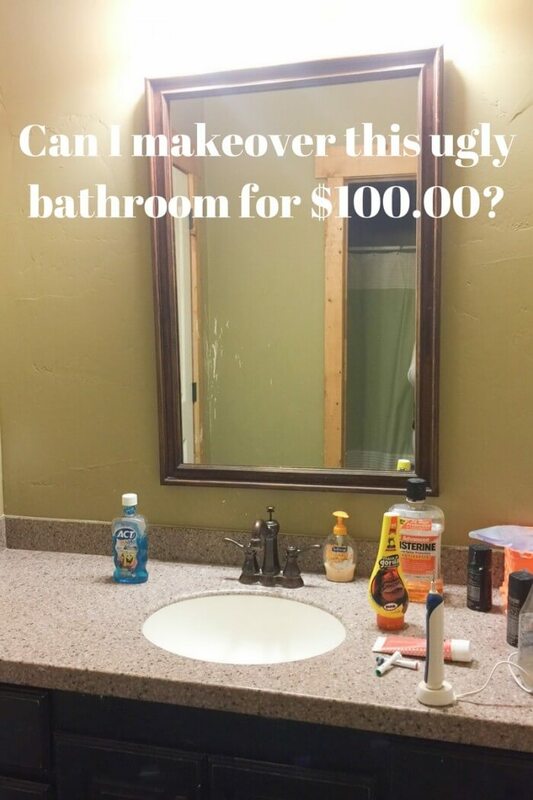 Can you makeover an entire room for 100 dollars? Well, it will take imagination, ingenuity, and a lot of re-purposing. I think its an awesome idea. 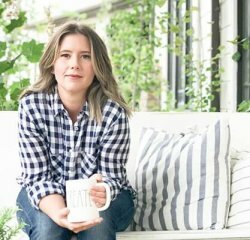 Many of us cant afford to spend thousands creating a beautiful space in our home, and I am no different. I love the idea of restricting oneself to a small budget. It gives you so much more room to be creative, and forces you to think outside the box, which is always a great thing. 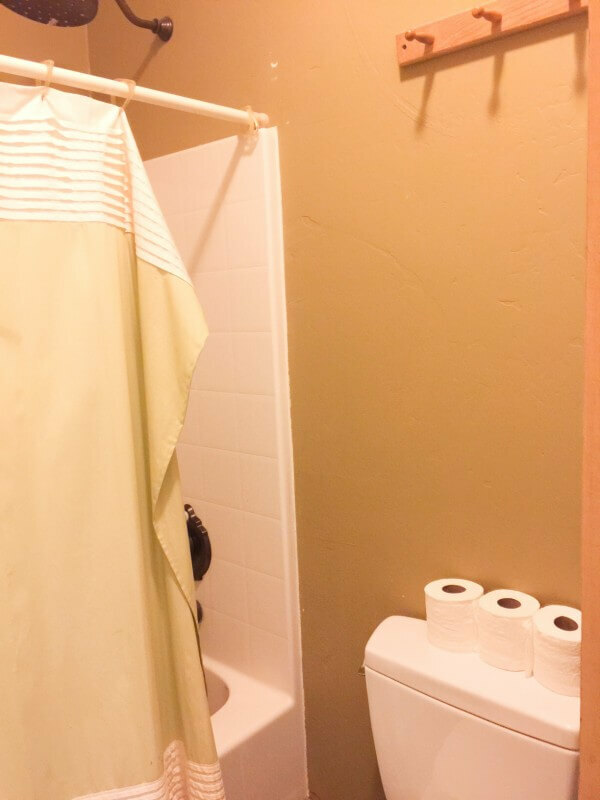 So, for this project, I chose my sons’ bathroom. 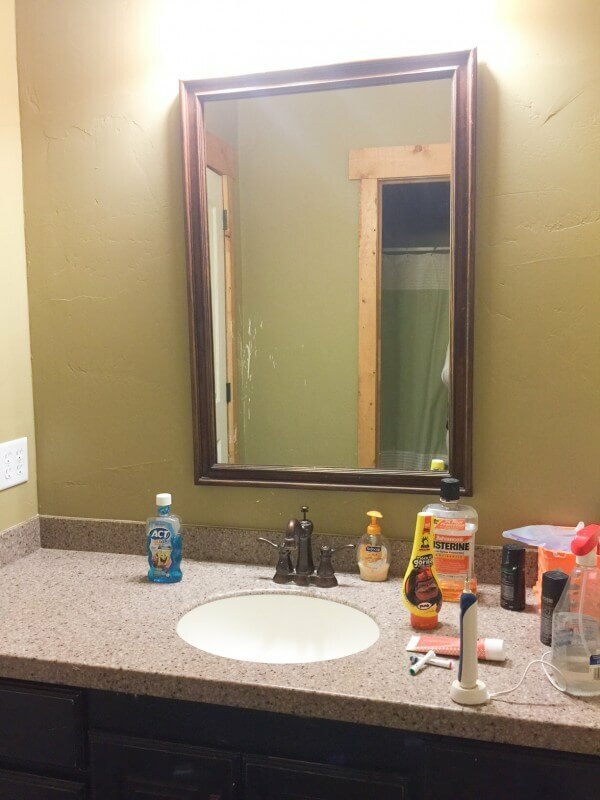 Its a boys bathroom makeover! Gah! It’s so bad! My boys are pretty lucky to have a bathroom connected to their room. They are also lucky to have a dog that loves to sleep in their room, even when they are not in it. So, one night while my boys were having a sleepover upstairs and their room in downstairs. Well, apparently our dog wandered in the bathroom and shut the door behind him. He spent the night in the bathroom, and nobody knew it! Believe me, when we found him, we felt awful!! We also found that he had scratched all over the door and the molding on the sides. It has definitely seen better days that’s for sure. So one of the goals in this makeover is to fix up the wall and the molding. Their bathroom has also just been ignored. I mean two of my boys share this bathroom, and they are 8, and 10. So, I would not say they are great at keeping it clean and in good shape so I have been hesitant to fix it up. This opportunity gave me the perfect chance. I will also be painting all the molding white. Staying under $100.00 will be challenging, but I think it is definitely doable. I want to be consistent, by keeping with the farmhouse theme, but I want to add some fun boy style. Even if a little more fashionable. I plan to paint the walls white, and add a hand drawn wall design. The design has not been decided yet, but I have been inspired by a few I found on Pinterest. Updating the mirror is definitely in order, possibly painting technique of some kind or maybe some barn wood. 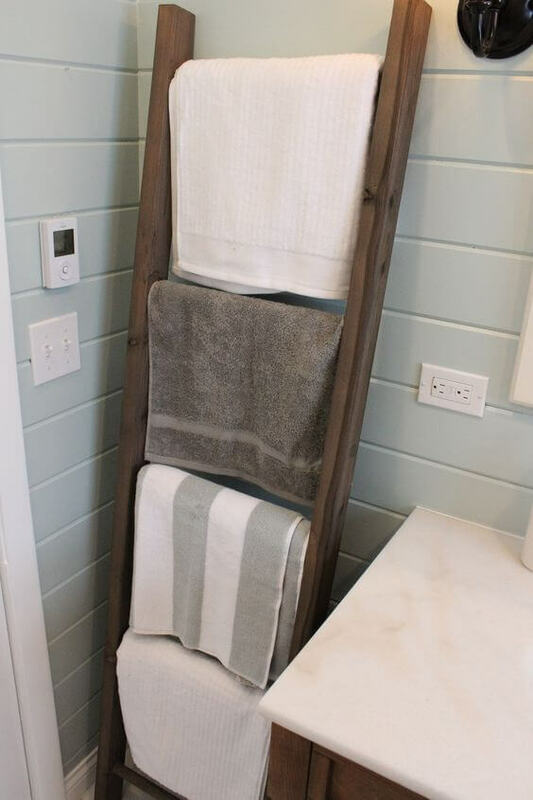 They have always lacked good towel storage in the shower room. Mostly because they aren’t tall enough to reach the hooks we had quickly added to the space. 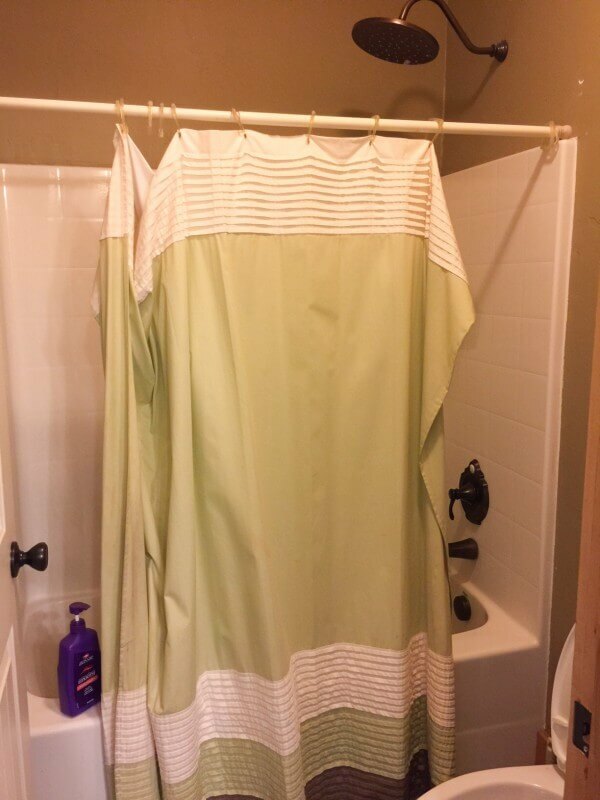 Another thing I would like to change out is the shower curtain. This one has seen better days. You know, we often spend more time and money on spaces that are seen more often. And this space is never seen by anyone. Its never been a priority. 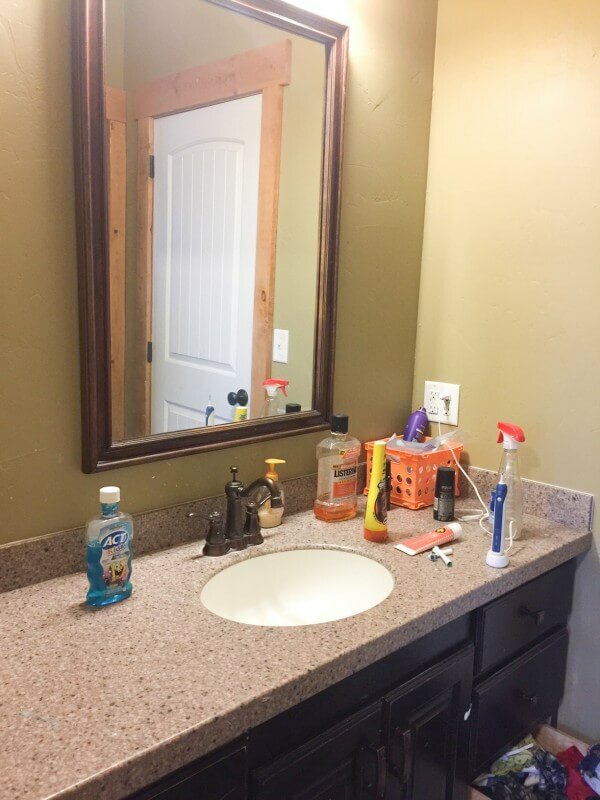 I am excited to see this transformation, and after some really large projects this year, including my kitchen remodel, laundry room makeover, and my master bathroom remodel, it feels good to tackle some small projects that wont require as much in terms of “gut job” type of work. I also loved some of these funny signs, and think adding something like this to the bathroom will be a fun accessory. I think I have my work cut out for me on this project, especially with the budget, but I never shy away from a challenge. 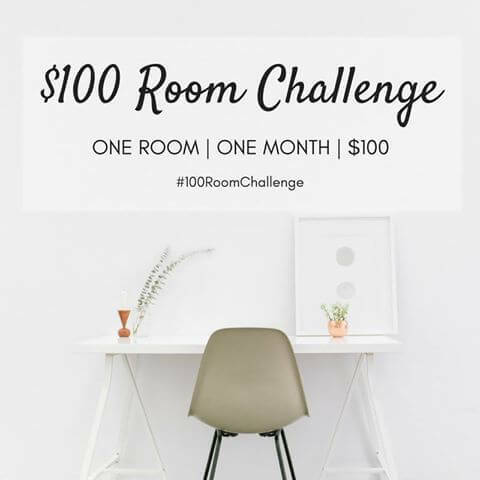 Now check out these other bloggers taking on the $100 dollar room Challenge! wow, that’s a tall order. good luck! Its in dire need of a facelift! I think I may have to threaten them pretty good to keep it clean! We shall see! Oh your poor pup! Can’t wait to see the wall painting. I felt so bad! Hoping it all works out! 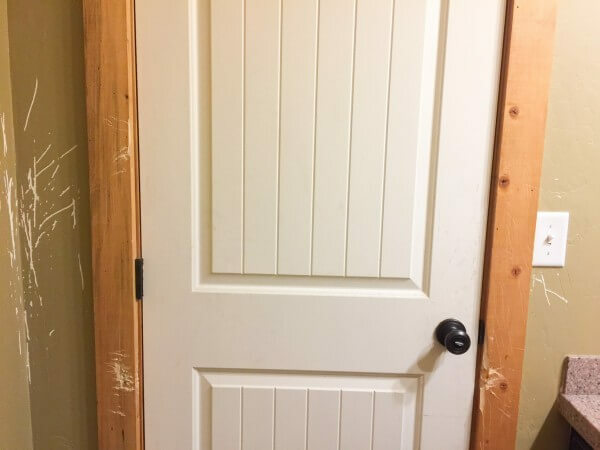 Boys and bathroom do not get along, and the dog did not help at all! Good luck! So true isnt it! Thanks! I agree with Jessica. 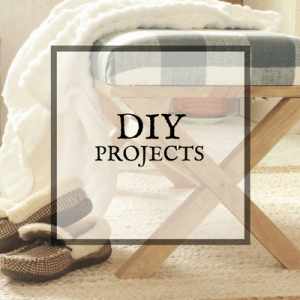 I can see a lot of DIY to help keep the cost down like perhaps some wood branch hooks for the towels and maybe taking the old shower curtain and giving it some new life with fabric paint. So curious how this turns out. Best of luck. Those are great ideas! Thanks so much! 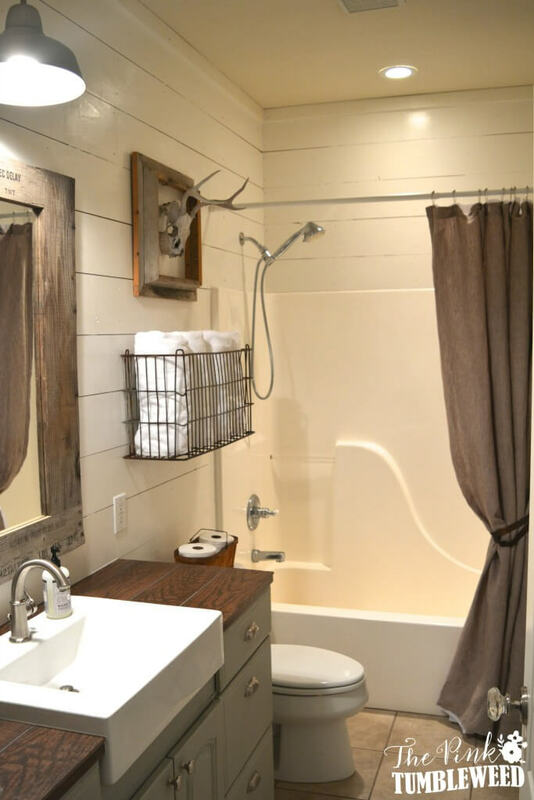 You always make gorgeous spaces, and I’m sure this bathroom will be no exception. Can’t wait to see what you decide to do on such a limited budget. Heres to hoping it all works out! Thanks Erin! Oh my! Our dog has gotten stuck in the bathroom before too! But luckily we have a tiny rental and noticed before he could get in trouble! lol! I love the idea of the design for the walls, can’t wait to see what you choose. Also, we have wooden crates on brackets and they work wonderfully for storage for towels. 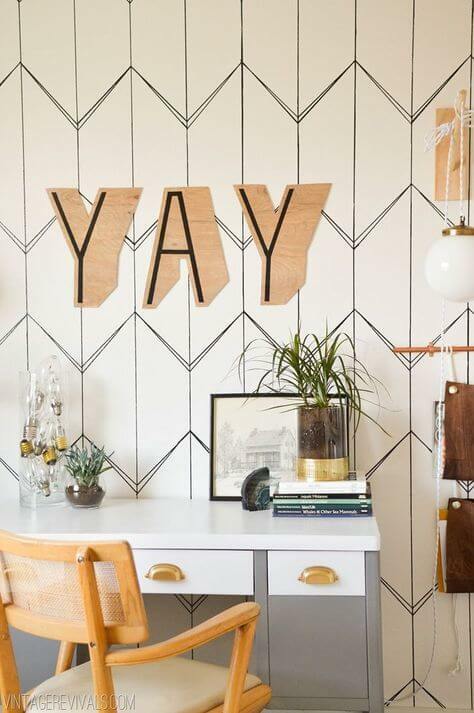 Brings a fun decor piece too. Can’t wait to see the finished product! Love the ideas of crates! Hoping it all turns out like I see it in my head! I really like your inspiration pics! Can’t wait to see how the wall turns out. You always do such a beautiful flawless job Sara! 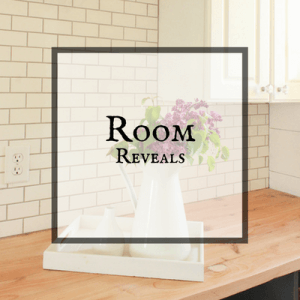 I love the ideas you have for this room and can’t wait to see them, especially your hand drawn design on the wall! Thanks! Im just hoping the design works! I got a bathroom post here too. Can’t wait to see you work your magic girl!! What do we get ourselves into? Haha! 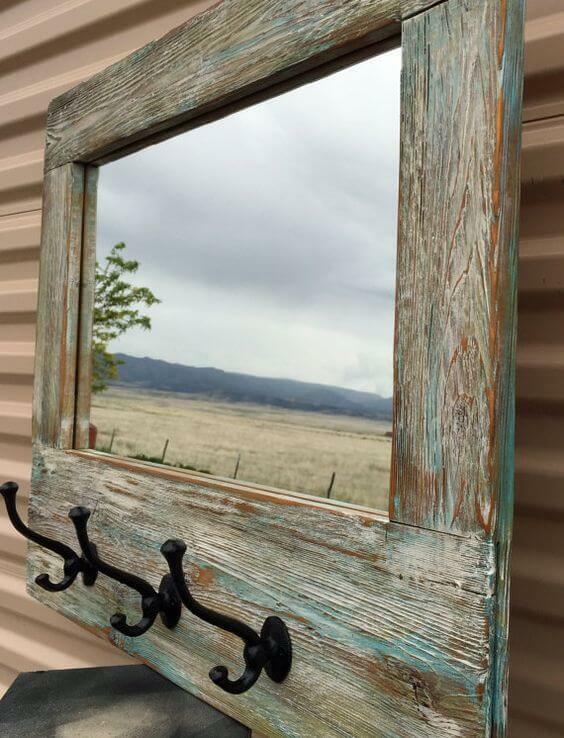 Love the idea of farmhouse style and use of barn board for the mirror! Can’t wait to see the final result! Thanks Vicki! Cant wait to get it finished! Hope it works out! 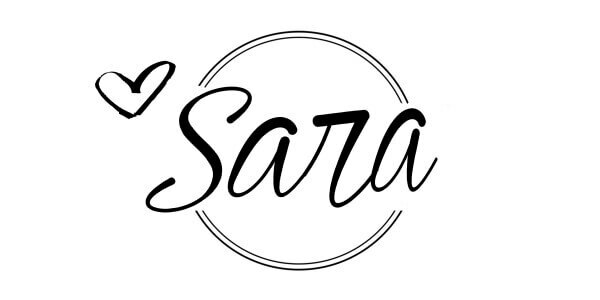 Sara, I have no doubt you will bring greatness to this space, as always! I’m also glad to hear I’m not the only one whose kids are messy bathroom dwellers.. they say someday we’ll miss these days.. I’m not so sure about THAT aspect! Yeah I dont know if Ill ever miss a messy bathroom. PLus, my hubby is the worst one, and he has no plans to move out soon! haha! So I guess I will never get the chance to miss them! It happened to my old dog too! He shredded the door at my parent’s house. I felt so bad! I can’t wait to see what you do!